Gain control of your nerves, and get that job! Job interviews are horrible aren’t they? It has been a long time since I went to one, but I remember the clammy palm, the jittery stomach, the dry mouth, the worry that you are going to say something absurd in your anxiety. I remember one interview in which I was asked a question, and I completely forgot how to speak, stared blankly at the interviewers for what felt like 3 hours, lost all moisture in my mouth, managed to croak out a request for some water, then babbled some nonsense which may or may not have answered the question. Astonishingly, I got offered a job as a result of that interview! I was asked a couple of days ago to share some advice on how to deal with the stress and anxiety of interviews. There are many practices and concepts that yoga teaches that can help to deal with this. With most things that cause stress, my first response is always to go to the breath. Deep, rhythmic, slow breathing will ease tension and stress in a few moments. Before your interview, during the interview, in those moment when you struggle to answer a question, take some deep, slow, rhythmic breaths, and you will find that you calm down, your thinking becomes clearer, your heart rate slows and you regain control over your emotions. If you can, spend some time sitting quietly, focusing on your breath. This will help to calm the mind down, let go of anxious thoughts, and give you a bit of space to allow calm in. The night before your interview, do everything you can to ensure you get a good night’s sleep. Switch your laptop off, read a book, go for a walk, take a long soak in the bath, do some self massage, or get someone else to massage you, listen to your favourite music, spend the evening knitting, whatever you do that brings you to a state of wellbeing. Try to limit your caffeine intake and go to bed early to get as good a night’s sleep as you can. The worst thing you can do before an interview is get wracked with self doubt, so focus your attention on the positives. List all the ways that the organisation would be bloody lucky to have you working for them, all the skills and attributes you can bring, and how awesome you are at being you! Spend some time before the interview listing these, and then do a gratitude list focusing on all the things that are great in the world and your life right now, before the interview. Going into an interview in a positive frame of mind is a great way to allay the nerves. Also, remember that you got an interview. There will be lots of others who didn’t even get that far, they are simply looking to learn more about you. Remember that there are more factors at play than you and how you perform in the interview. It really isn’t just about you, it is about them as well. The interviewer doesn’t know you, and the interview isn’t a judgement on you, it is to see if you are the right fit for the job and the organisation. Remembering the last point above, the 5th Niyama, Ishwara Pranidhana, teaches us that we have to accept that we are not in control, and that we cannot create the outcomes, we can only control how we behave in a given situation. Swami Gitananda taught the maxim ‘Do your best and forget the rest’ to explain this. You can only play your part, and do your best, the decision rests elsewhere. In the Bhagavad Gita, Krishna teaches Arjuna that we have the right only to our work, not to the fruits of the work. So give this your best shot, but try to let go of emotional attachment to the outcome (I do know how hard this can be, particularly with job interviews. If you are feeling really anxious before the interview, the ‘throwing out’ practice in this video below is a great way to release negativity and tension. Do it before you leave your house to feel an increased sense of calm and readiness before you begin your journey. Ask for feedback on your interview whatever the result. 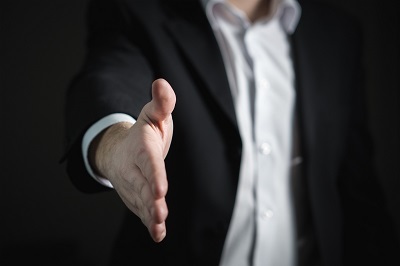 If you are unsuccessful in securing this job, you can use this to help perfect your interview behaviour and see it as a practice run for the interview you are going to ACE! If you get the job, ask them to tell you why they chose you, it will be helpful material for you to reflect on in future moments of self doubt and insecurity. My blog coach, Sarah Arrow, recommends keeping a ‘Yay me’ file, noting all compliments people give you so that when you feel rubbish, you can look at it and remember how amazing you are! This is a fantastic idea, I have a few beautiful entries in mine already! I know that lots can rest on a job interview, and that pressure to do well, to try really hard to get the job, can be overwhelming, but getting yourself into a stressed state is counter productive. Remember that the interviewer wants to see you in all your glorious, wonderful, youness, they want to see what wonderful things you can bring to their organisation, and they want you to do well too. They will allow for stressed, so they will forgive small mistakes, but if you can use these practices to stay calm, then you will make less, and you will be able to laugh off your mistakes with the interviewer. I would love to hear from you if these tips help you at all, please share your thoughts in the comments below, and share the post with anyone you think might find it helpful. Esther Nagle has spent much of her life deep in shame, unhappiness and self sabotage, with two decades of addiction to smoking, drinking, drugs and misery behind her. In 2014, after a breakdown the previous year, she discovered that there was more to Yoga than she realised when she trained to become a teacher. During this time, she learned to breathe properly, and realised just how healing and powerful Yoga truly is. Feeling reborn, she let go of her addictions and stepped into a new life of health, happiness and love. Esther wants to help women to reduce stress in the workplace, to develop resilience and inner strength so that they can turn to themselves, not wine, when life gets stressful. Getting Through An Interview With Some Preparation And Positivity!